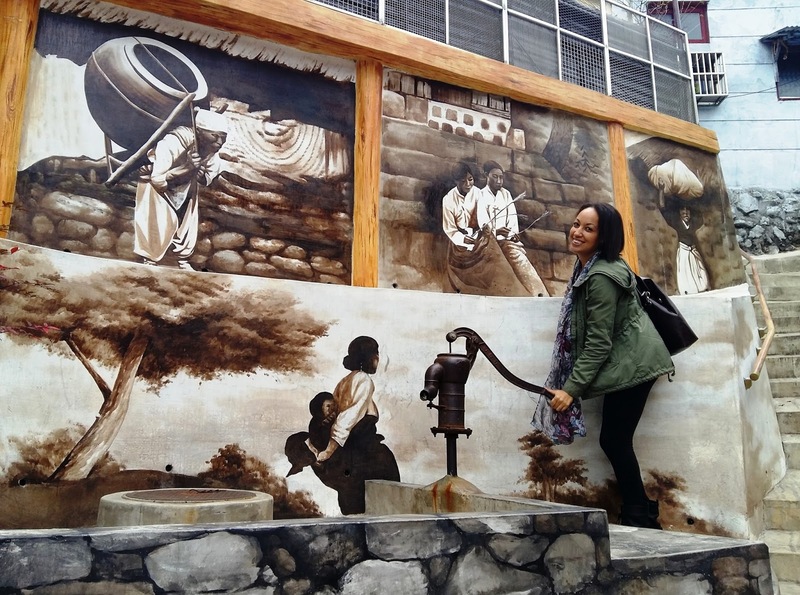 Gamcheon Cultural Village is the kind of place you can visit again, and again, and again and still never have the same experience twice. 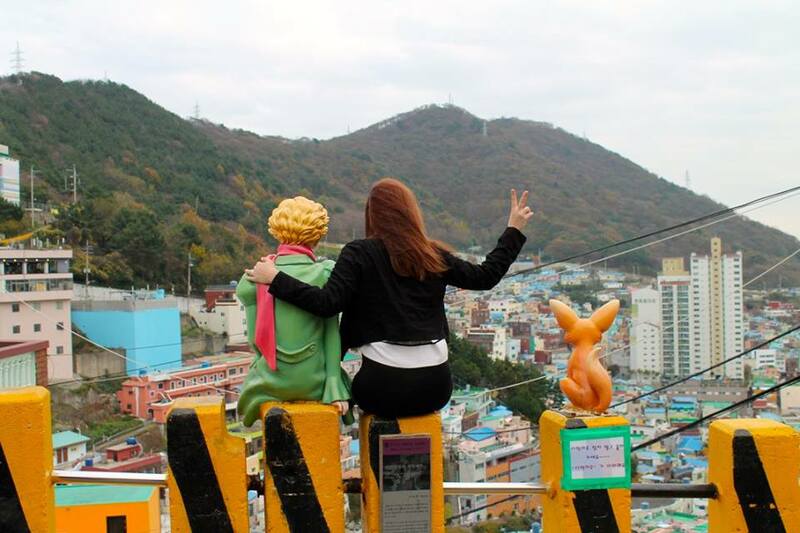 As you might remember, we visited Gamcheon with G’s Mum a little while ago. Having missed the “Stairway to the Stars” last round, but discovering it this time made staying in both Friday and Saturday night absolutely worth it! 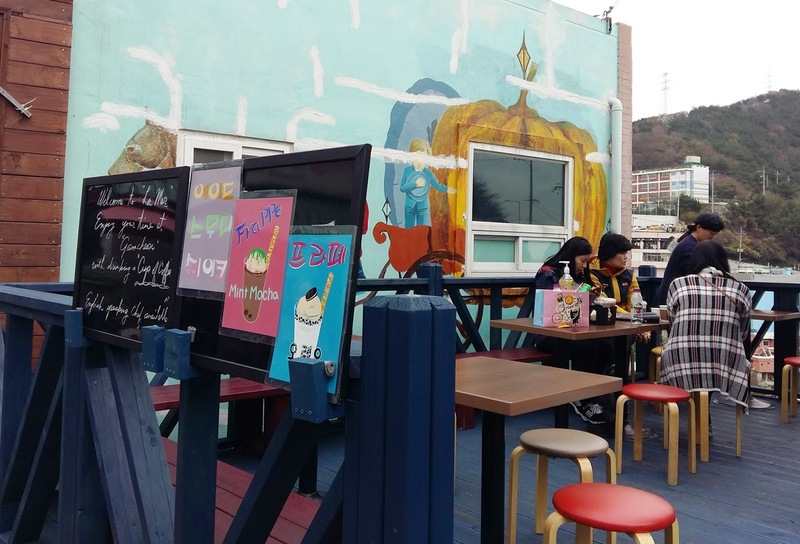 Gamcheon Cultural Village is easily accessed by public transit in Busan. Take the subway to Toseong Station and take Exit 6. Take a right out of the subway, walk up the street past the hospital, and the bus stop is right outside. Get on the local bus Saha 1-1, Seogu 2 or Seogu 2-2 (they’re labeled GAMCHEON CULTURAL VILLAGE too!). L & S had planned on visiting Gamcheon, but I wasn’t entirely sold as I had already been and wasn’t entirely sure how much more I could see. Wow – was I ever wrong! We had a blast interacting with…statues who initially had us fooled (well – just the one! ), took a gazillion winged photos, and climbed more stairs than I cared to count. This visit, rather than following the “fish” plaques on the walls we veered left and kept walking down toward the water. Eventually, at a photo stop on the roof of the cultural center, we spied the stairway to the stars and meandered our way through an alley and eventually just went vertical. Amid coffees and waffles with apples and cream we sat, rested, and chatted for a while before moving on. 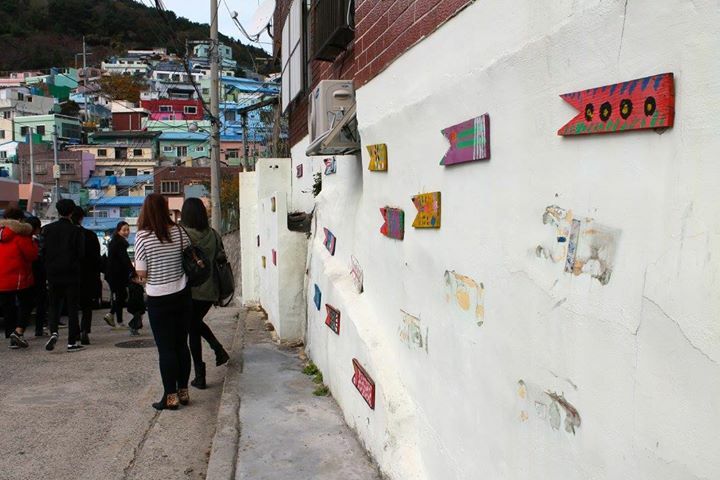 On a sunny day you can see so many different pieces of art on the walls of this historic area of Busan. I can’t wait to visit again with my friend from first year University who just got hired in Saha-gu! Previous Post Weekend Warriors: Cafe Ean // H&M Home! Next Post Bubbles Shinsegae: Champagne taste. Beer Budget.